with us in these areas, we’ll help guide you to the best results. We recommend a range of software solutions for public company websites depending on the needs of our clients. With inbound investor tracking becoming an increasingly useful tool for monitoring activists and investors, we usually prefer to recommend website solutions that include this as a core feature. If you want to know where your company stands online, we provide a unique product that will give you a snapshot of how investors see your company when they’re searching for information online. This includes analyzing the reputation of your senior management and ensuring the correct branding is on all digital assets. Online branding evaluations often uncover fake or misleading social media profiles or information that could be being used to mislead your investors. Once you’ve completed an online branding evaluation, the next step in securing your company’s online image is usually to create new or claim and re-brand a range of social media profiles. If you’re not usint eh profiles for disclosure, you’ll want to ensure that your management team has the correct security settings on their personal profiles as well. This is typically something that we would develop as part of a campaign approach to client services. However, if you just want an excellent Facebook or LinkedIn presence on its own, we can do that too. Remember to compile your design assets in advance for the fastest possible turn around time. If you need to know details on the size and scope of your online and traditional press coverage, we have a solution to help. Head over to the media monitoring page on our site for more information. Our media monitoring reports will provide you an in-depth view of how your corporate content spreads online. Companies like HP use these reports form us to measure the effectiveness of their industry analysts. As with distribution channels, an Investor CRM is usually used to maintain contacts and prospects gathered through an inbound campaign. However, if you just want the CRM, we have our own unique software product that will allow you to manage all your investors contacts in one place and create simple, effective email campaigns to notify them of changes at your company. This is one of the key components of our social media campaigns. Outreach involves a great deal of research before any messages are ever sent. We often prefer to soft-sell through the use of advertising to key constituents rather than sending massive numbers of individual messages. Watermarking digital assets is an excellent way to ensure that your materials are not misused or used out of context. Its also the only real way to provide high-quality digital media kits to journalists and online content producers. We create image galleries with watermarks for clients to distribute online to financial journalists and more. This is usually part of our inbound campaigns. 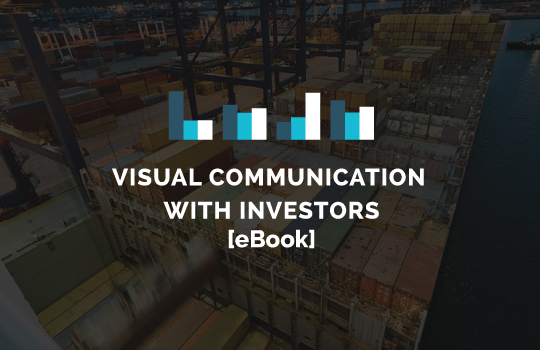 Are you aiming your message at a specific demographic of investors? If so, we have a strategy to generate high-value investor leads for you. Lead generation is an add-on service we provide to those clients who really understand the kinds of investors who are interested in their story. This usually comes after a period of running an inbound campaign. Providing regular video updates on your company’s operations is the best possible way to engage with your stakeholders. Scripting, editing and post production are all handled by our internal production team. We train your management to do their own recording and then add a layer of professionalism in later. The product is real, engaging content with an edge. If you’ve mastered operations updates, we highly recommend trying out a live broadcast. You need only look at the hype surrounding upcoming sporting events to see how easy it is to market a corporate broadcast. Checkout some of the examples on our IR strategy blog.